Acquisitions like Dailymotion could be part of Yahoo CEO Marissa Mayer's next steps in reinventing her company. Marissa Mayer has done quite a bit for Yahoo since she became CEO last summer, but she still hasn't answered one question: "What is Yahoo's strategy?" Out of the gate, Mayer quickly made headlines for revamping the struggling company's culture. She handed out free smartphones, encouraged employees to act more quickly and take ownership of projects, and famously banned telecommuting at Yahoo. "The next piece of it is focus: Yahoo's core business isn't growing, so what will drive growth?" said Aaron Kessler, an analyst at Raymond James. So far, Mayer hasn't shed much light on possible new directions for the company. The only purchases Mayer has made are a small handful of "acqui-hires" (buyouts done mainly to score the technical talent of a company's workforce). And the main product announcements under Mayer's short tenure -- a redesigned homepage and a revamped Yahoo Mail -- don't provide much insight into her thinking. That could soon change. If Yahoo were to make an acquisition, as many analysts believe the company will in the coming months, Mayer's strategy could begin to present itself. 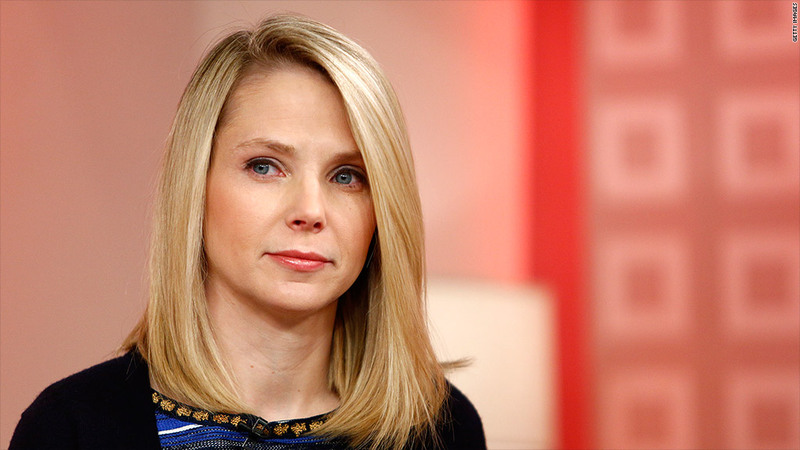 Yahoo (YHOO) hasn't pulled the lever on any big acquisitions since Mayer took over as CEO, despite a slew of non-stop takeover rumors. The latest report: Yahoo is in talks to buy a controlling stake in Dailymotion, dubbed "the French YouTube," according to The Wall Street Journal. Though Dailymotion isn't a household name in the United States, the company is a more important player abroad. That existing overseas audience could be a plus for Yahoo, which at times has struggled internationally. If the acquisition rumors are true, it's unlikely to be a "cats on skateboards" buy, said Brian Wieser, a senior analyst at Pivotal Research Group. He said Mayer's interest in the online-video site, owned by France Telecom, is likely in "less obvious" features: for example, its cloud-based streaming service for marketers or its publisher network. Raymond James' Kessler, disagrees. He thinks Yahoo would acquire Dailymotion for the core part of its business. Dailymotion has also begun developing its own original videos, which would add more content to Yahoo's trove. "Yahoo is still largely a media company, and Dailymotion fits into that," Kessler said. "Yahoo could promote Dailymotion content on its homepage, giving it more unique inventory and boosting Dailymotion's audience." That kind of sharp-focused acquisition could be the type of buy Yahoo needs to secure a leadership position in tech's fastest-growing sectors: social, mobile, local and video. Analysts say Yahoo would be better served finding the right fit for its strategy -- whatever that turns out to be -- rather than making a splashy buy that turns out to be impulsive. Yahoo, for instance, has been rumored to be interested in buying Zynga (ZNGA), OpenTable (OPEN), Yelp (YELP) and Millennial Media (MM), among others. "Dailymotion or another media buy makes more sense [than most of the other rumors]," said Kessler. "They don't need to pivot to something that's not their core competency." Going forward, Kessler said he hopes Yahoo considers internal revamping or an acquisition to help boost Yahoo's mobile traffic. He also thinks Yahoo needs to trim its still-sprawling product portfolio in the interest of streamlining. 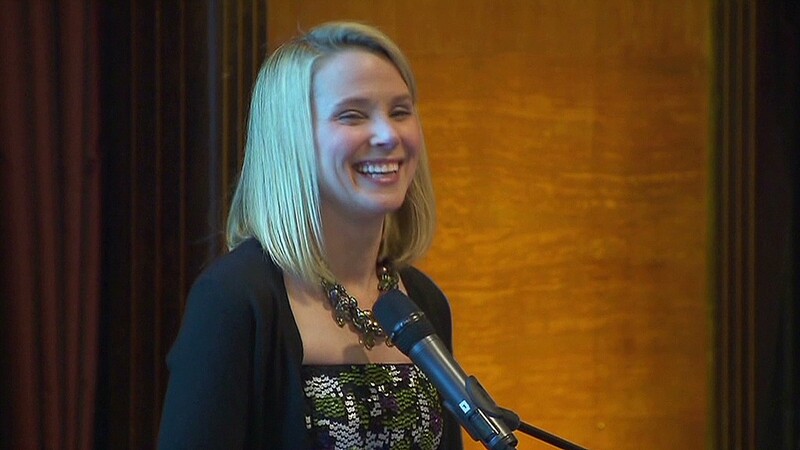 Marissa Mayer could start the ball rolling with a purchase of Dailymotion. But until the new CEO makes a move, Yahoo's strategy is still a guessing game.